......Unfortuntely friends and relatives keep sending this stuff to me. Norton Internet Security, Windows Defender & Ad-Aware SE Personal are used before putting any files on this site. 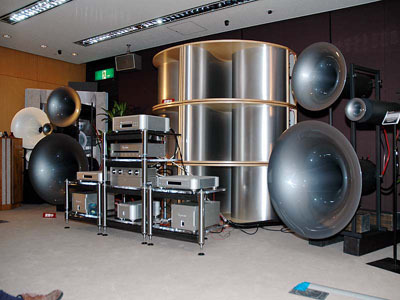 The soon to be very famous "Sound Effects Chour". If the link does not work copy & paste the link into your Google browser then click "go". Look what I found on Sympatico/MSN Music. Proving you can never really have enough cowbell. "Maximum Cowbell" hits the cowbell, hits it again, then isn't afraid to crank up the cowbell just a little bit more. "Don't fear the cowbell. Once a herding tool for wandering beasts and later a percussion pariah, the humble rhythm tool is now hip. 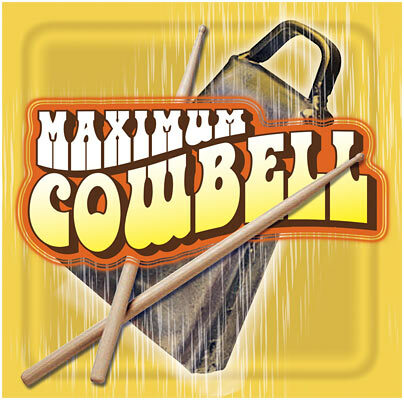 With the release of Maximum Cowbell, a 16-track collection of classic rock songs that employ its trademark hollow clank, the cultish fascination that began with a Saturday Night Live skit in 2000 grows." Watch the Saturday Night Live clip that has reached cult status among fans and provided inspiration for cowbell lovers around the world. Featuring Christopher Walken as Bruce Dickinson. Check out Gino Vanelli, Graham Lear playing drums with Paul Anka (he used to play with Gino Vanelli & Santana), Nelly Furtado and many others. "Live @ The Orange Lounge"
Each voice part sings in a different range, and each one has a very different personality. You may ask, "Why should singing different notes make people act differently? ", and indeed this is a mysterious question and has not been adequately studied, especially since scientists who study musicians tend to be musicians themselves and have all the peculiar complexes that go with being tenors, French horn players, timpanists, or whatever. However, this is beside the point; the fact remains that the four voice parts can be easily distinguished, and I will now explain how. THE SOPRANOS are the ones who sing the highest, and because of this they think they rule the world. They have longer hair, fancier jewellery, and swishier skirts than anyone else, and they consider themselves insulted if they are not allowed to go at least to a high F in every movement of any given piece. When they reach the high notes, they hold them for at least half again as long as the composer and/or conductor requires, and then complain that their throats are killing them and that the composer and conductor are sadists. Sopranos have varied attitudes toward the other sections of the chorus, though they consider all of them inferior. Altos are to sopranos rather like second violins to first violins - nice to harmonize with, but not really necessary. All sopranos have a secret feeling that the altos could drop out and the piece would sound essentially the same, and they don't understand why anybody would sing in that range in the first place - it's so boring. Tenors, on the other hand, can be very nice to have around; besides their flirtation possibilities (it is a well-known fact that sopranos never flirt with basses), sopranos like to sing duets with tenors because all the tenors are doing is working very hard to sing in a low-to-medium soprano range, while the sopranos are up there in the stratosphere showing off. To sopranos, basses are the scum of the earth - they sing too damn loud, are useless to tune to because they're down in that low, low range - and there has to be something wrong with anyone who sings in the F clef, anyway. 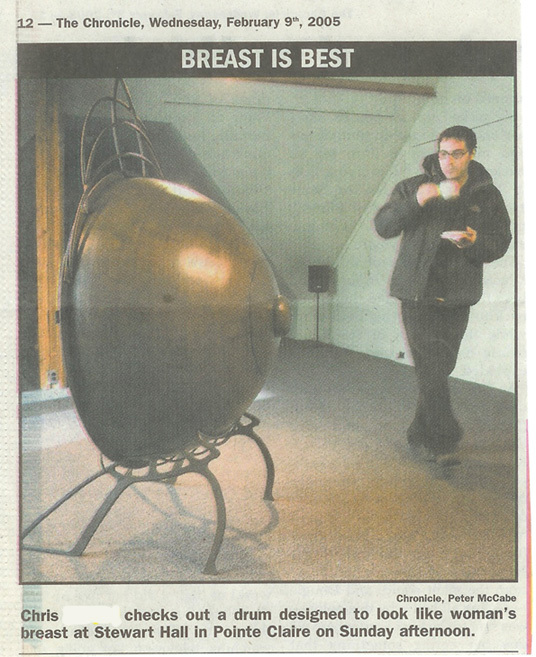 THE ALTOS are the salt of the earth - in their opinion, at least. Altos are unassuming people, who would wear jeans to concerts if they were allowed to. Altos are in a unique position in the chorus in that they are unable to complain about having to sing either very high or very low, and they know that all the other sections think their parts are pitifully easy. But the altos know otherwise. They know that while the sopranos are screeching away on a high A, they are being forced to sing elaborate passages full of sharps and flats and tricks of rhythm, and nobody is noticing because the sopranos are singing too loud (and the basses usually are too). Altos get a deep, secret pleasure out of conspiring together to tune the sopranos flat. Altos have an innate distrust of tenors, because the tenors sing in almost the same range and think they sound better. They like the basses, and enjoy singing duets with them - the basses just sound like a rumble anyway, and it's the only time the altos can really be heard. Altos' other complaint is that there are always too many of them and so they never get to sing really loud. THE TENORS are spoiled. That's all there is to it. For one thing, there are never enough of them, and choir directors would rather sell their souls than let a halfway decent tenor quit, while they're always ready to unload a few altos at half price. And then, for some reason, the few tenors there are are always really good - it's one of those annoying facts of life. So it's no wonder that tenors always get swollen heads - after all, who else can make sopranos swoon? The one thing that can make tenors insecure is the accusation (usually by the basses) that anyone singing that high couldn't possibly be a real man. In their usual perverse fashion, the tenors never acknowledge this, but just complain louder about the composer being a sadist and making them sing so damn high. Tenors have a love-hate relationship with the conductor, too, because the conductor is always telling them to sing louder because there are so few of them. No conductor in recorded history has ever asked for less tenor in a forte passage. Tenors feel threatened in some way by all the other sections - the sopranos because they can hit those incredibly high notes; the altos because they have no trouble singing the notes the tenors kill themselves for; and the basses because, although they can't sing anything above an E, they sing it loud enough to drown the tenors out. Of course, the tenors would rather die than admit any of this. It is a little-known fact that tenors move their eyebrows more than anyone else while singing. THE BASSES sing the lowest of anybody. This basically explains everything. They are stolid, dependable people, and have more facial hair than anybody else. The basses feel perpetually unappreciated, but they have a deep conviction that they are actually the most important part (a view endorsed by musicologists, but certainly not by sopranos or tenors), despite the fact that they have the most boring part of anybody and often sing the same note (or in endless fifths) for an entire page. They compensate for this by singing as loudly as they can get away with - most basses are tuba players at heart. Basses are the only section that can regularly complain about how low their part is, and they make horrible faces when trying to hit very low notes. Basses are charitable people, but their charity does not extend so far as tenors, whom they consider effete poseurs. Basses hate tuning the tenors more than almost anything else. Basses like altos - except when they have duets and the altos get the good part. As for the sopranos, they are simply in an alternate universe which the basses don't understand at all. They can't imagine why anybody would ever want to sing that high and sound that bad when they make mistakes. When a bass makes a mistake, the other three parts will cover him, and he can continue on his merry way, knowing that sometime, somehow, he will end up at the root of the chord. After years of hiding the fact that the love is gone, Mom and Dad announced to their grown children that they're getting a divorce. The kids were totally distraught and, as a stab at keeping their parents together, arranged a series of sessions for the whole family with a world-famous marriage counselor. The counselor worked for hours, tried all of his methods and tricks, but the parents wouldn't even talk to each other. Finally, he walked over to a closet, brought out a bass, and began to play. After a minute or so, the parents started talking and, as the counselor continued soloing on the instrument, the couple discovered they're not that far apart and decided to give their marriage another try. The children were amazed and asked the counselor how he managed to do it. He replied, "Simple. I've never seen anybody who wouldn't talk through a bass solo." 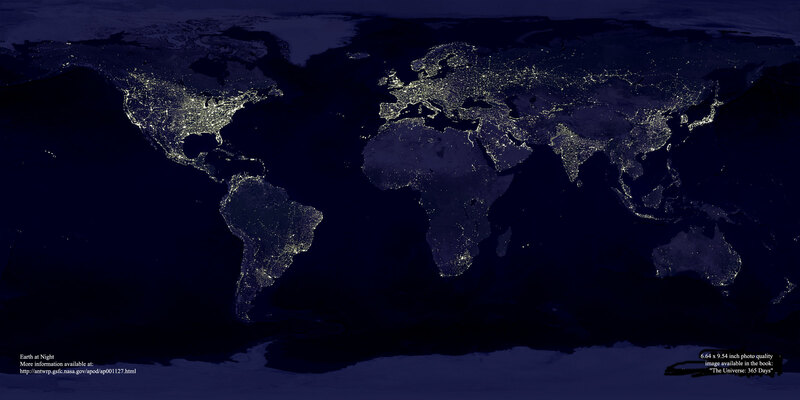 The Earth at night....it is a larg photo, copy it and zoom in to different parts of the world. sharp as it used to be. 1. 6:45am is too damn early for us to wake up. 5. With food and drinks on the plane, we would forget why we were there. 6. We talk with our hands; therefore we would have to put our weapons down. 8. We would argue and start a fight on the plane. 9. We can't keep a secret; we would have told everyone a week before doing it. Q: Who was that piccolo I saw you with last night ? A: That was no piccolo, that was my fife. BEST LAWYER STORY OF THE YEAR, DECADE, AND PROBABLY THE CENTURY*. insured them against, among other things, fire. that the claim was frivolous. loss of the cigars lost in the "fires". arrested on 24 counts of ARSON!!! in jail and a $24,000 fine. Why don't sax players like playing soprano? There's no place to hide your drugs. Why did the lead alto player play so many wrong notes? Because he kept ignoring the key signature -- he thought it was a suggestion. Five. One to do it, and four to comment on how David Sanborn would have done it. How many C melody sax players can you fit into a phone booth? If lost in the woods, who do you ask for directions, an in-tune tenor sax player, an out-of-tune tenor sax player or Santa Claus? The out-of-tune tenor sax player. The other two indicate that you're hallucinating. What's the difference between a lawnmower and a tenor sax? 1. Lawnmowers sound better in small ensembles. 2. You can tune a lawnmower.